With more than 17,000 islands, 300 ethnicities and countless natural landscapes just waiting to be explored, Indonesia should certainly be on all of our travel bucket lists. The sprawling archipelago boasts spectacular geographical diversity, and that means plenty of picturesque white-sand beaches, azure blue seas, verdant jungles and rumbling volcanoes. While most visitors usually turn to Bali for a relaxing weekend getaway, there are actually plenty of other amazing destinations that Indonesia has to offer. 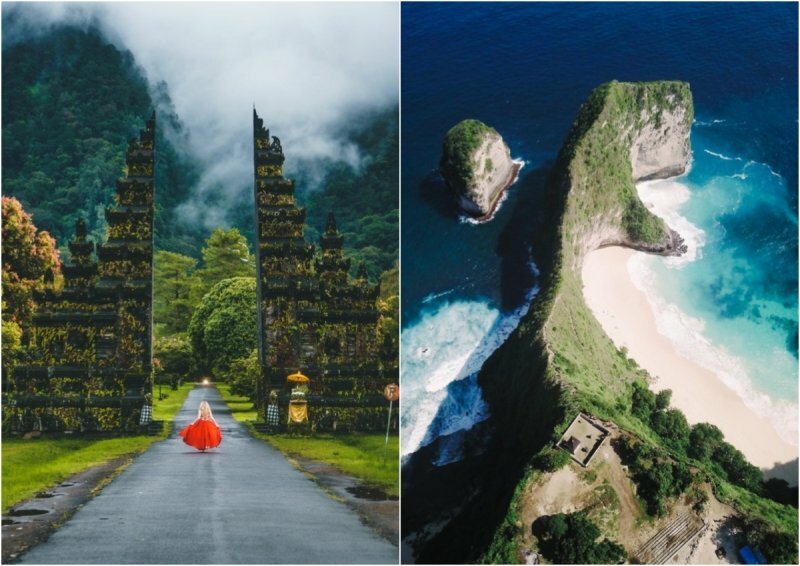 Each region is unique in itself and many of these destinations are off-the-beaten path – people who have travelled to Indonesia tend to grow more fond of it as it boasts a multitude of hidden gems. For the ultimate blend of relaxation and absolute serenity, here are 10 destinations in Indonesia that will promise you a blissful retreat! We’ve left out all the mountain climbing and trekking bits because hey, sometimes you simply need a laid-back vacation to just… chill. Keep reading and be inspired! Known affectionately as the sister island of Bali, Lombok is the up-and-coming holiday destination that certainly deserves more than just a cursory glance. Although it is relatively less developed, Lombok boasts bigger beaches, mightier volcanoes and more diverse landscapes. Intrepid travellers often find themselves drawn to it’s pristine waters and thrilling outdoor adventure opportunities like diving and surfing. 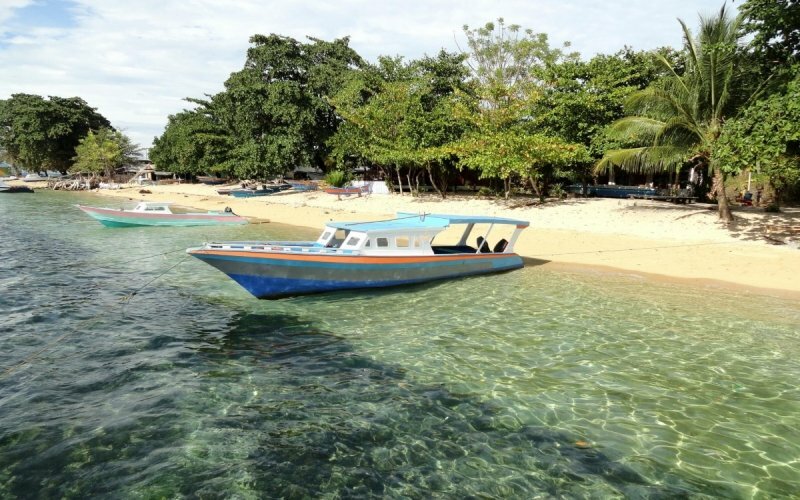 While you’re in Lombok, be sure to make a trip to the world-famous Gili Islands. Situated just off Lombok’s coast, the islands offer a blend of unspoilt natural beauty and modern attractions like hip bars and swanky resorts. Gili Trawangan is the largest and most well-known among backpackers, while couples and families usually head to Gili Meno for some quiet relaxation. Situated on the enchanting Medana Bay, The Oberoi is a league above the rest in terms of luxury resort accommodation in Lombok. This idyllic five-star haven exceeds all standards imaginable, and it offers spectacular views of Mount Agung as well as exclusive beach access! It spans a whopping 24 acres of lush manicured gardens and also boasts a spectacular infinity pool. Guests looking for a relaxing vacation will find themselves more than satisfied at the Oberoi. Accommodation is split between rustic, thatched villas and pavilions, all of which offer breathtaking views. Be sure to book their Ocean Villas with Private Pool and get ready to experience a whole new definition of luxury and sophistication! Plunge into paradise on earth with an Exotic Escape package deal at The Oberoi Lombok when you book a minimum of three nights stay! As part of this promotion, The Oberoi is offering special rates for their packages starting with the Luxury Ocean Villa with a Private Pool. Book your stay today with The Oberoi Lombok or a truly unforgettable experience! To visit The Oberoi’s website, click here! You’ve surely not heard about this one! Part of the Bunaken Manado Tua Marine National Park, this tiny isle is North Sulawesi’s top tourist destination and boasts sybaritic, beachy bliss. Most people come to coral-fringed Bunaken for its amazing diving opportunities, and not many people know about this paradisiacal island yet. Many sites here are more suited to advanced divers, but there are also dive schools that can arrange introductory dives at beginner-friendly sites. The marine biodiversity here is astounding, with over 3,000 species of fish, 300 types of both soft and hard corals and various types of sea sponges and critters. Diving enthusiasts, this is certainly for you! Bunaken is about 45 to 60 minutes by boat from Manado, and most resorts would arrange transfers from the airport for their guests. Exclusively built on a five-hectare site with a private seafront and its own jetty, this lavish resort is truly the epitome of a diver’s paradise! The resort offers 12 large, traditionally designed villas and it strives to keep its ecological footprint to a minimum to protect the delicate wildlife at its shores. If you wish to lounge the afternoon away, catch some sun by their free form infinity pool! Be sure to book one of Bunaken Oasis’ Luxury Cottage, which promises to be the epitome of unparalleled comfort. The cottage features a comfortable king-size canopy bed and undisputed views of the ocean. Donning a wooden interior, feel the rustic charm and soul of this spellbinding island! Plunge into paradise on earth with Bunaken Oasis Dive Resort & Spa! From now till the end of June, enjoy 10% off when you quote Tripzilla! Simply fill in the Contact form here and you’ll be on your way to booking your ideal vacation! Read Tripzilla’s hotel review here and to visit Bunaken Oasis’ website, click here! Ahhh Bali, the Island of Gods! The slightest mention of Bali will surely invoke thoughts of what paradise on Earth would be like. 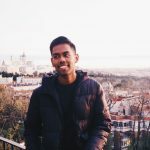 Welcoming millions of tourists yearly, there is something for every type of traveller in this island, from pristine beaches and verdant mountains to dramatic cliffs, picturesque temples and Instagram-worthy cafes. The varied landscape provides the idyllic backdrop to its colorful and deeply spiritual culture and vibes. It’s no wonder seasoned travellers keep coming back here for their dose of Eat.Pray.Love! Be greeted by the fresh air and lush greenery of the Tegallalang Rice Terraces in Ubud, Bali’s cultural heart. For those who prefer to party it up with a cocktail in hand, be sure to check out the various beach clubs in the chic and trendy neighbourhood of Seminyak! The Damai is probably one of the most elegant and posh hotels that you will ever experience in the Island of Gods. Located just off the northern coast of Bali, the studios and villas are highly picturesque and are sure to allure you with its panoramic seascape views. In fact, North Bali is an undiscovered treasure trove of hidden gems that have yet to make it into travel guides. 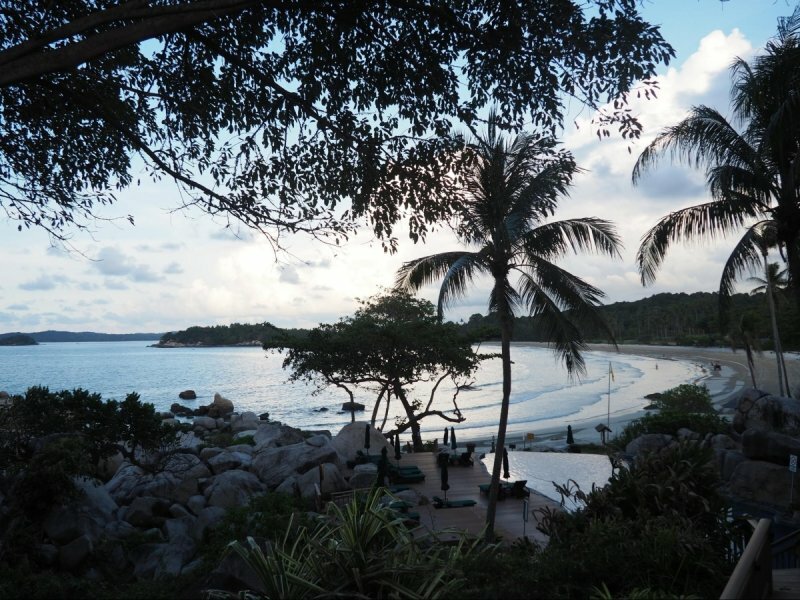 The Damai may be slightly hard to find, but you’ll instead find it really hard to leave! While The Damai’s Garden and Seaview Villas are #gorgeous, their Pool Studios and Villas are simply to die for! Surrounded by both lush gardens and stunning views of the sea, each Pool Studio and Villa boasts its own private swimming pool and traditional bale pavilion for you to lounge your afternoons away. These havens are beautifully ornamented with rare Balinese antiques, rich fabrics and beautiful vaulted hardwood ceilings which portray a distinctly rustic yet luxe character. Already planning to book your idyllic Bali vacation with The Damai? Well, book now to take advantage of their 40% off FLASH SALE this summer! Dive into the soul of North Bali while renewing your own – exclusively at The Damai. Starting from as low as SGD$140 per night, this flash sale is valid for any stay from 1 - 30 June 2018. Be sure to book before 30 June 2018 to enjoy the promotional prices. It’s a great deal not to be missed! Hurry, book the next flight out to Bali and experience luxurious simplicity at the Damai. 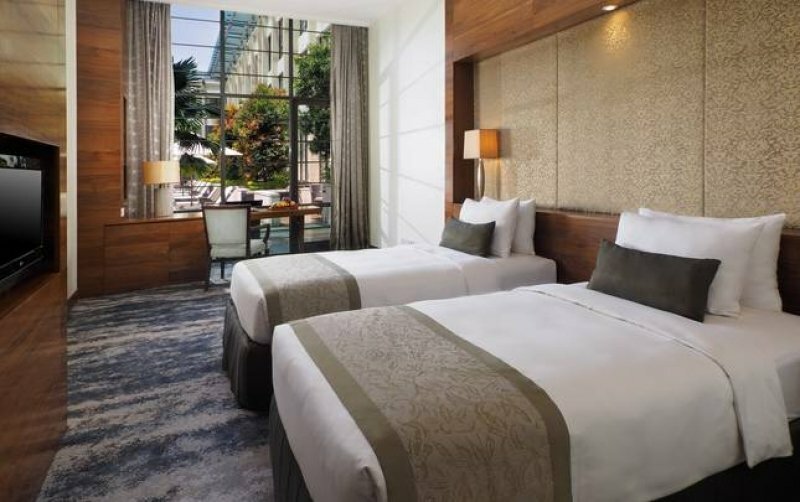 Read TripZilla’s hotel review here and to visit The Damai’s website, click here! The term “ritzy” did stem from the Ritz-Carlton brand, so the Mandapa is no doubt the physical testament of the word itself. 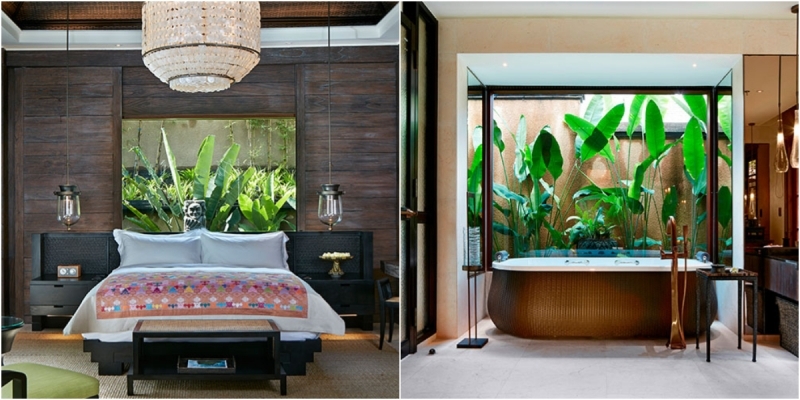 This blissful luxe retreat has been exceeding expectations in Bali’s cultural hub of Ubud. Nestled just above the Ayung River, this establishment boasts 35 swanky suites and 25 private pool villas that are absolutely worth every single dollar that you’ll be splurging! The Mandapa has one to three-bedroom villas that are sure to accommodate groups of any size comfortably. Their villas promise unparalleled sophistication and ultimate privacy, with intricately designed furnishings, colourful artworks and exquisite details. You’ll definitely be forgiven for choosing to hibernate in this haven of a villa, which boasts lush secret gardens and whimsical vantage points of the verdant rice fields. Lose yourself as you bronze in the sun by your private swimming pool! Click here for more details and to book your idyllic spa getaway with The Mandapa! Read TripZilla’s hotel review here and to visit The Mandapa’s website, click here! As a city that prides itself as the epicentre of Javanese identity and culture, Solo retains its soulful charm and is one of the least Westernised cities on the island. With its charming kraton traditional markets and malls, Solo definitely deserves some spotlight! The city makes for a great starting point for forays into the outskirts of central Java. Solo also attracts bright students and scholars to its reputable academies of music and dance. As such, the city is an excellent place to experience Javanese performing arts and appreciate traditional craftsmanship. Did you know that Alila Solo is home to the tallest rooftop bar in all of Solo? Well, now you do! 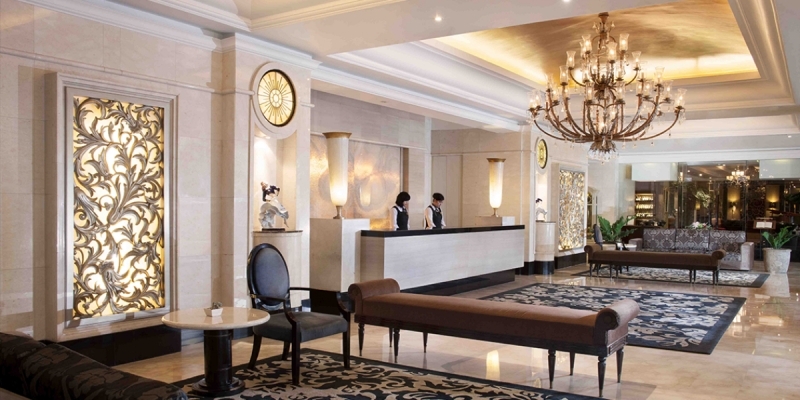 This award-winning five star establishment dominates the Solo cityscape and offers luxury accommodation for family, business and leisure travellers. With tastefully designed interiors and stunning artworks throughout the hotel, it is no doubt that Alila Solo is one of the most sought-after hotels in the city. Take a refreshing dip in Alila Solo’s near Olympic-sized rooftop pool, which provides stunning landscapes of Solo and its surrounds. The hotel also features a state-of-the-art two-storey gym for fitness junkies who need to squeeze that workout in. 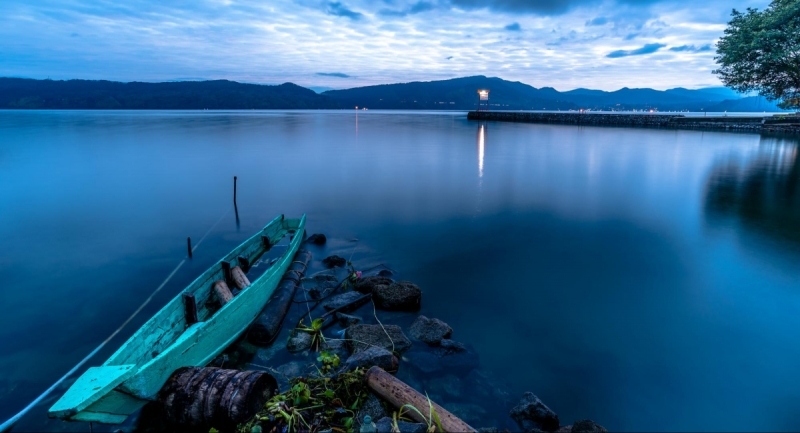 Dive into the Spirit of Java and start planning your retreat to Solo! 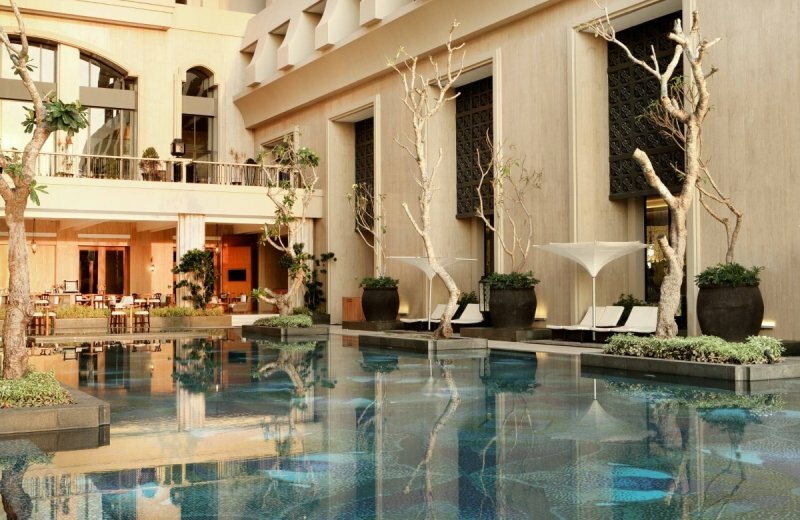 Elevate and luxe up your stay in this buzzing city with an overnight Spa Staycation package at Alila Solo . Featuring a couple’s spa treatment, this package is perfect for you and your other half to enjoy some much-needed quality time together. 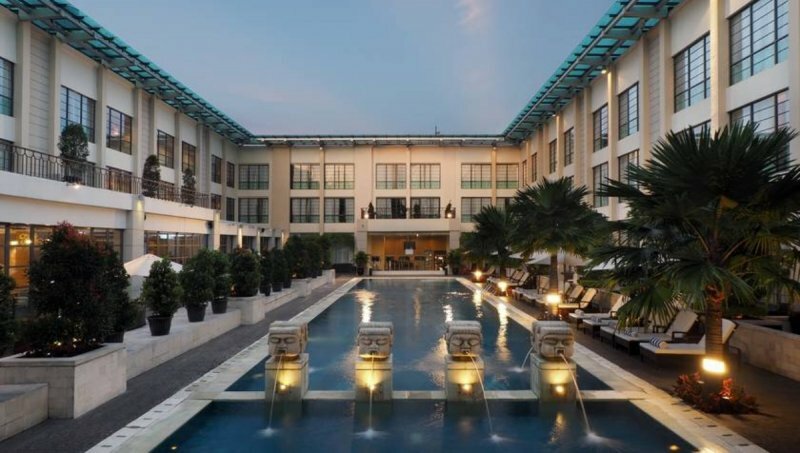 Read TripZilla’s hotel review here and to visit Alila Solo’s website, click here! The capital city of West Java province, Bandung is a city that is gaining traction as a creative destination. As a member of the UNESCO Creative City network, Bandung strives to showcase the diversity of cultures through creative design and solutions. In fact, Bandung’s economic activities are design-related, with graphic design, fashion and digital media being the top three sectors. 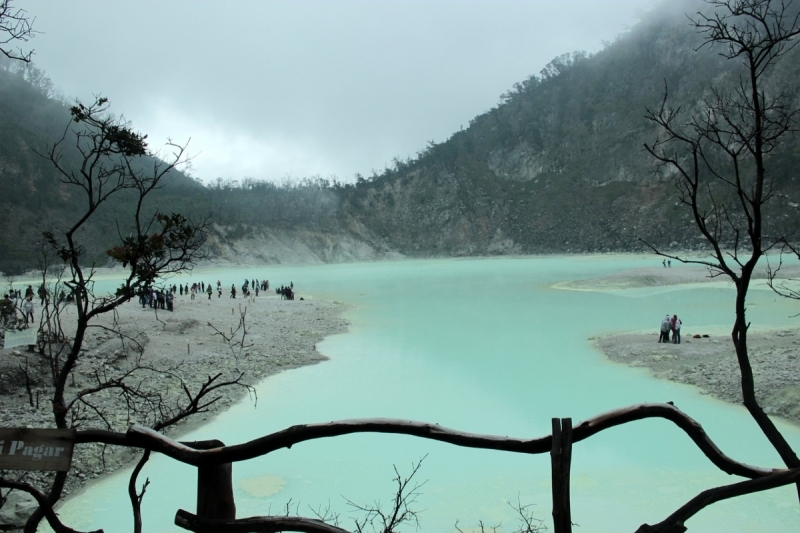 Bandung is very popular with the local Javanese due to its higher altitude and cool mountainous climate. It is also affectionately known as the “Paris of Java” due to its natural landscapes and the similar atmosphere it shared with European cities. It is a great place to visit any time of the year and offers trendy fashion wear and textiles at its numerous factory outlets – shopaholics rejoice! As you step into The Papandayan you’ll be greeted by a modern, art deco look that reflects the beauty of Javanese culture and heritage. Boasting 172 rooms and suites, The Papandayan is strategically located near Bandung’s prime destinations. It also identifies itself as a Jazz hotel, with weekly jazz performances featuring local and international artist. “Elegance” plastered all over it and it offers utmost privacy for you and your companion. With the fasting month coinciding with the June holidays, Muslim travellers might find it hard to travel as arrangements have to be made for Sahur and Iftar. Don’t fret! You can still have an amazing holiday this Ramadan with The Papandayan’s Ramadan Kareem offer. Share special moments with your family and friends, and do worship in style at comfort at the Papandayan. This promotion is valid for stays from now to 14 June 2018. Planning to celebrate Eid differently this year? Why not celebrate luxuriously with The Papandayan, with their special Eid Mubarak promo! This promotion is valid for stays from 15 - 17 June 2018. These deals are no longer available but fret not, discover the latest deals for your stay at The Papandayan’s on their website here! Also, read TripZilla’s The Papandayan review here . Located just off the northwest tip of the island of New Guinea, Raja Ampat is a special archipelago of its own. Made up of over 1,500 small islands and cays, Raja Ampat is one of the most spectacular, but lesser-known dive destinations in the whole world. 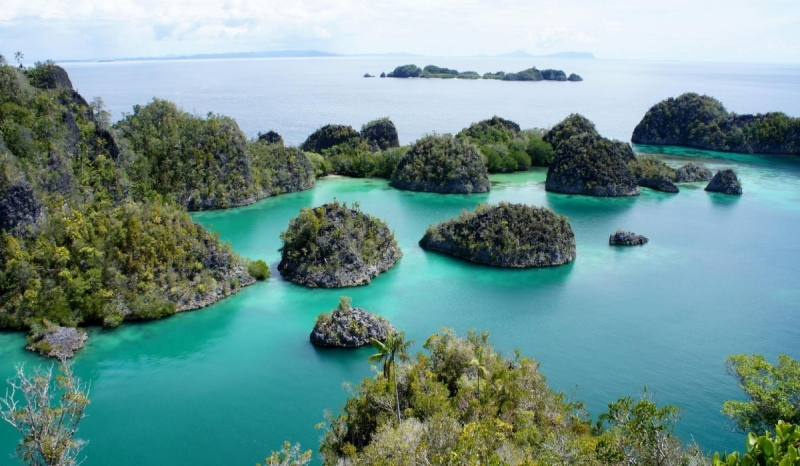 Although remote and pretty tricky to get to, Raja Ampat makes for an unforgettable vacation. Marine life diversity around the islands is the highest recorded on Earth due to its incredibly low human population density. This tropical paradise houses over 530 species of corals, 1,300 types of fish, 700 species of mollusk and much more! The unadulterated beauty of this biological hotspot remains the main drawcard of this dramatic destination. Papua Diving Resorts was established as a project to support the local Papuan communities. It brings much needed money to the locals by enabling divers to appreciate the aquatic wonders of the region. In fact, by staying with Papuan Resorts, you’ll be contributing to local conservation efforts! The establishment is made up by Sorido Bay Resort and Kri Eco Resort, both situated on Kri Island. Sorido Bay Resort is nestled in a kidney-shaped lagoon amidst lush jungle greenery, and it boasts seven spacious bungalows just metres away from the most famous dive site, Cape Kri. The resort’s ground houses a variety of wildlife ranging from Paradise Kingfishers to the elusive Sugar Gliders. Kri Eco Resort evokes a more laid-back vibe and most of it is made from locally-sourced and low-impact materials to facilitate one’s appreciation of nature. The resort offers you 13 rooms from three different categories, perfect for the no-frills traveller who still crave a rustic charm. For more details and to book your stay, visit Papua Diving Resorts’ website here! Nestled in the South China Sea is the serene island of Bintan, one of the gems that make up the Indonesian archipelago. Bintan is just a short 45-minute ferry ride away from Singapore, making it ideal for a quick weekend escapade! 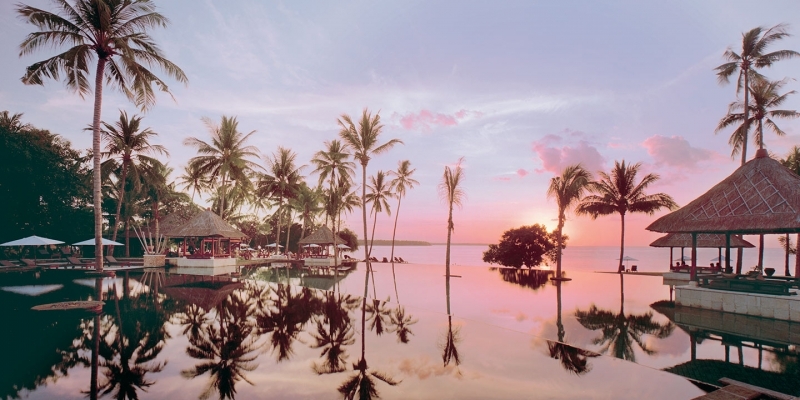 Just the mere mention of the island’s name will get your minds drifting to swanky resorts and azure pools. In fact, the island is positioned to be the next Bali equivalent! It also offers a myriad of activities such as golf, water sports and spa retreats to keep you occupied and relaxed at the same. It’s perfect for those looking for a slice of paradise without wanting to burst the bank! Fancy a seaside escapade with an untouched view of the ocean and a private beach? Built along the picturesque shoreline, Bintan Spa Villa Beach Resort is a tranquil hideout that offers a refreshing haven away from the chaotic city life. For those fervently yearning for some much needed peace and quiet away from deadlines and phone calls, this establishment has got you covered. 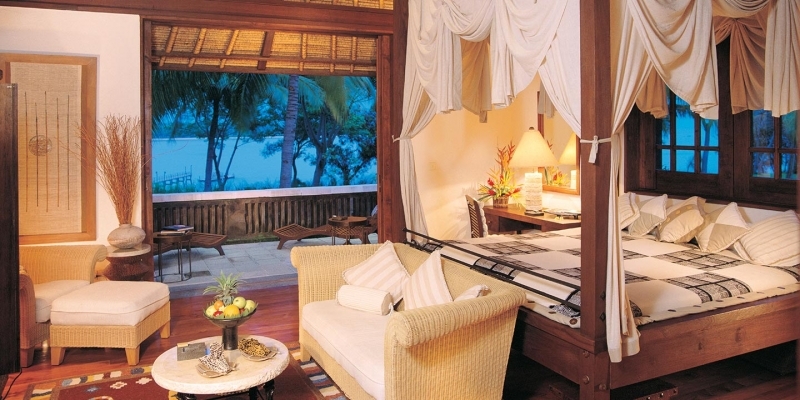 Bintan Spa Villa’s rooms all come with private balconies, and with a stunning sea view. For the idyllic getaway experience, be sure to check out their Royal Pool Villa or the Jacuzzi Ocean Suite. Raised above the water, The Jacuzzi Suite boasts its very own private jacuzzi tub in the balcony. Say hello to luxe baths with a killer view! 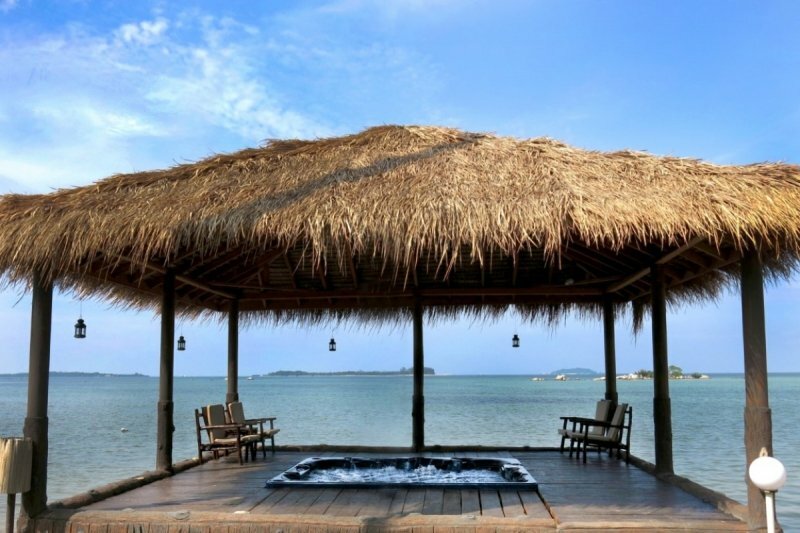 Book your perfect spa escape now at Bintan Spa Villa Beach Resort! With their attractive Spa Villa Package, stand to save a whopping 30% off, with no hidden costs. Treat your tired soul to the rest and relaxation that you so deserve. 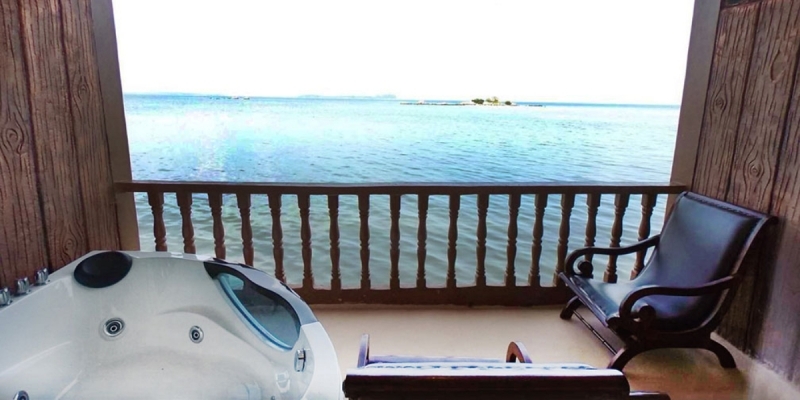 Read TripZilla’s hotel review here and to visit Bintan Spa Villa’s website, click here! Similar to Bintan, Batam is also situated in Indonesia’s Riau archipelago and is a short ferry ride from Singapore. It also makes for a great weekend getaway and draws visitors with its wonderful beaches, no-frills resorts and shopping malls. However, you won’t find stunning landscapes or attractions here. Instead, you’ll be treated to numerous spa establishments, massage parlours, cheap restaurants and cafes. Surely you would’ve been on one of those 2D1N Batam staycay deals which promise a “luxurious” stay but sadly leave you disappointed. Well, that won’t be the case with Allium Batam! Located in the heart of Batam’s shopping district Nagoya, this stylish hotel is perfect for your short weekend getaway. 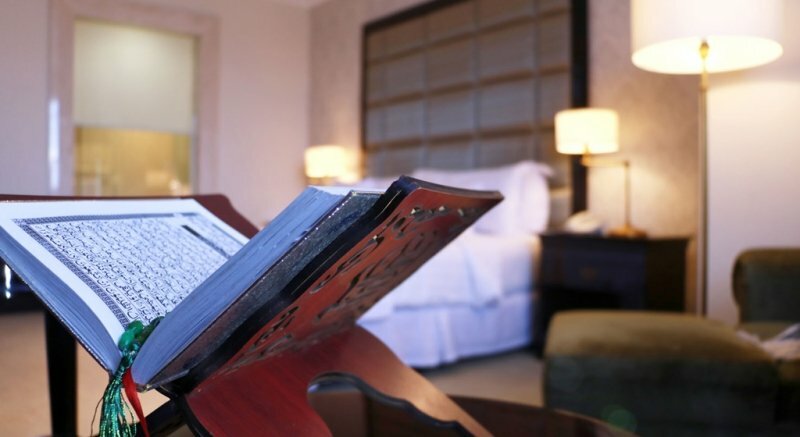 It boasts 211 thoughtfully designed guestrooms and suites that are tailored to fulfill all your needs. 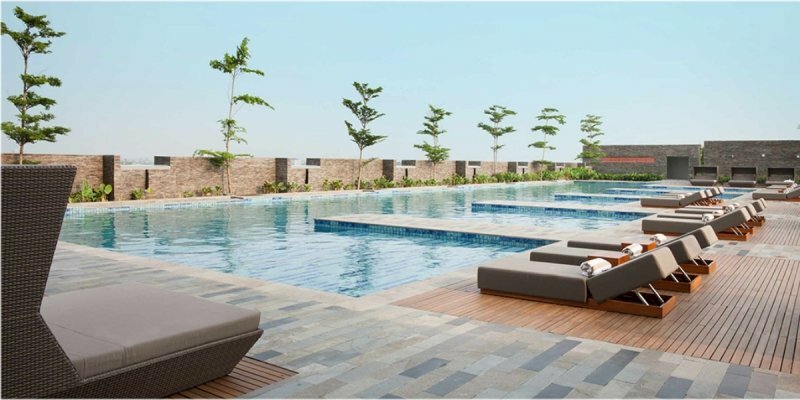 Allium Batam has various rooms like the Family Room and one to three-bedroom apartments that are ideal for the ultimate staycation with the whole fambam. The apartments have separate living and kitchen areas and are well equipped with essential amenities that promise you a comfortable stay. If you feel like splurging, why not go all out and experience a taste of royalty in their Allium or Samali suite. Read TripZilla’s hotel review here and to visit Allium Batam’s website, click here! Often overshadowed by the more touristy cities of Indonesia, the beautifully undisturbed city of Yogyakarta, also known as Jogjakarta is full of culture, heritage, natural wonders and adventure. Together with its twin city of Solo, it forms the cradle of civilisation on Java. From ancient villages to modern, hipster lanes, every bit of the heritage town of Jogjakarta is worth exploring. It is truly Indonesia’s most lovable city! The city is aggressively independent and protective of its heritage and traditions, and is still headed by a sultan. With its roots from Javanese culture, the word Tentrem means a feeling of peacefulness and tranquillity – and that is exactly what Hotel Tentrem strives to deliver! The hotel exudes an eclectic and posh character with its modern European-style architecture. Can you already hear that glistening pool calling out to you? Hotel Tentrem’s exquisite interior design is an amalgamation of tradition and modernity. You may wish to book their Executive Suite, or if you’re in the mood to pamper the whole family, go all out and book their exclusive Kraton Suite for a slice of royalty! Medan is probably not an immediate choice that you would think of when you are looking for a relaxing holiday. But that is quite simply because not many people know much about this bustling city, which is on the verge of modernisation. Sumatra’s major metropolis is actually Indonesia’s third-largest city, and it is famously home to the largest volcanic lake in the world – Lake Toba. In Medan, you will see crumbling colonial facades from the Dutch era, and be amazed by the contrast of numerous street food vendors sitting alongside modern cafes and bars! To really experience the soul and spirit of Medan, hire a private car and take a trip through the outskirts. In a city where entertainment is mostly catered for the locals, you will experience authentic Medan the way the locals do. Located on top of the Grand Palladium Shopping Mall, Aryaduta Medan is a unique luxury hotel which features an elegant European-inspired facade. With over eight different room types, this hotel is famous for its highly-Instagrammable 35-metre courtyard pool that’s sure to make your followers green with envy. Do laps in the pool or simply lounge your afternoon away! For the ultimate taste of luxury poolside living, do book your stay in one of their exclusive Pool Terrace. This accommodation type provides private direct access to the pool, perfect if you’re itching for a late night dip! Need we say more? 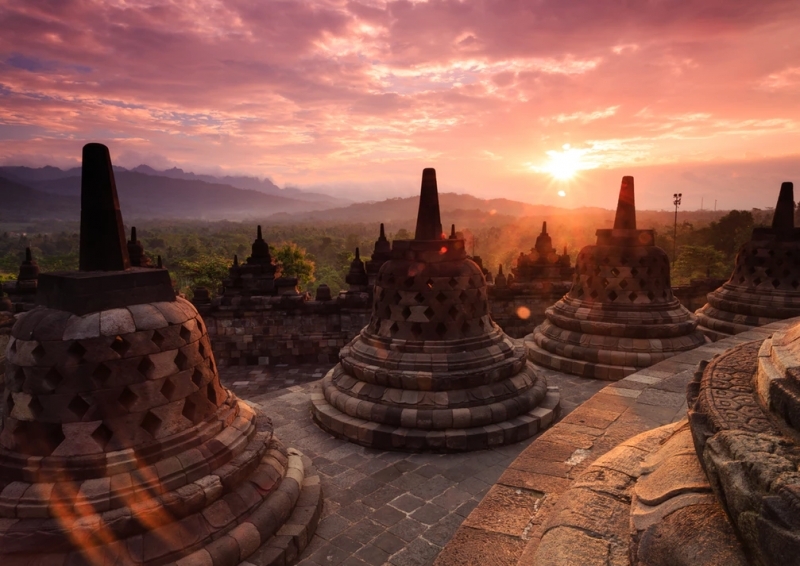 There are many facets to this incredible country that make Indonesia stand out as the ultimate travel destination for 2018. Bookmark this nifty list and make it a challenge to tick these cities off your travel bucket list. It is definitely safe to say that no other country has as many unique island destinations as Indonesia. And with these top-notch hotel recommendations, you’ll be in for an amazing time in this sprawling archipelago!